When a pine beetle outbreak -- caused by climate change -- destroyed the forests in the Okanagan Valley where Jolan grew up, he decided he had to do something. He joined the climate justice movement, working to build opposition to tarsands pipelines in B.C. 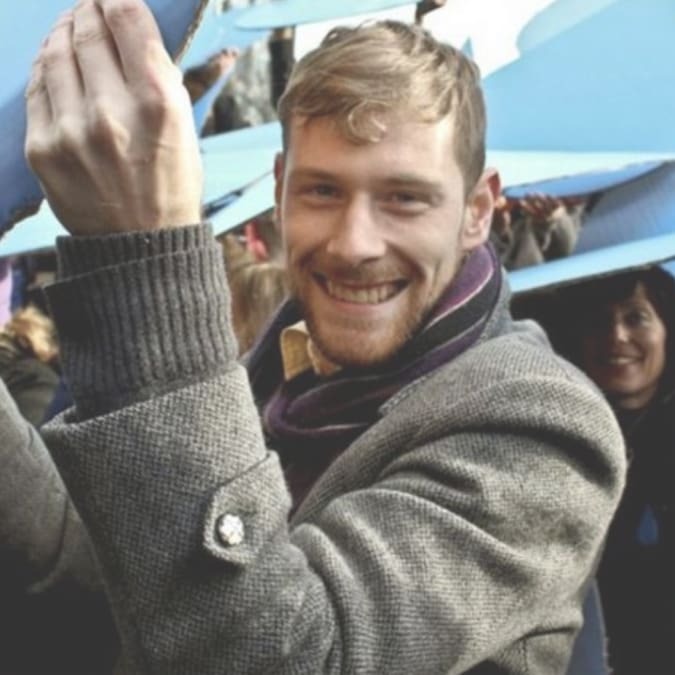 After watching the Harper government systematically undermine environmental protection and climate action, he joined Leadnow, where he helped design the organizing strategy for the Vote Together campaign, which helped defeat the Conservatives in the 2015 election. In 2016, Jolan led a successful organizing drive at Leadnow, achieving certification with BCGEU. Jolan believes that face-to-face conversations and intentional relationship building are the building blocks of powerful movements -- whether the goal is to stop a trade deal or unionize a workplace. He currently works as Campaign Manager for Tech and Data at Leadnow, where he is exploring new ways to use digital tools to enable even more people to organize their communities.